Today I have good news, I've been published in Beer and Brewer! Beer and Brewer is Australia's only beer focused magazine, so this is a huge honour for me. So for all of those joining us for the first time through the magazine, it's good to have you here! Everyone feel free to contact me using my email (gus.norris7@gmail.com) or just comment on any of the posts if it's a general question. My article focused on my rather large beer glass collection, many of which have been featured on posts on this blog. I had to submit the article a couple of months ago and thought it would be interesting just to show a few of the glasses from new countries I've added over that time. 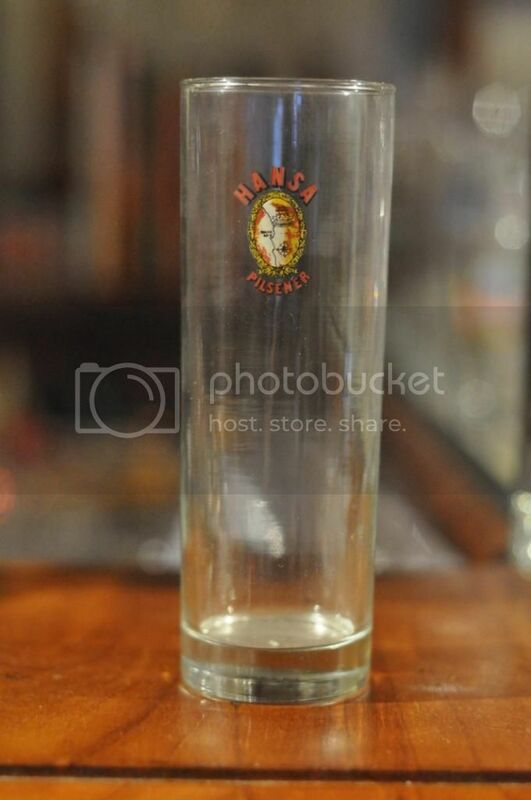 Firstly here is another African glass I've come across, Hansa Pilsener from South Africa. 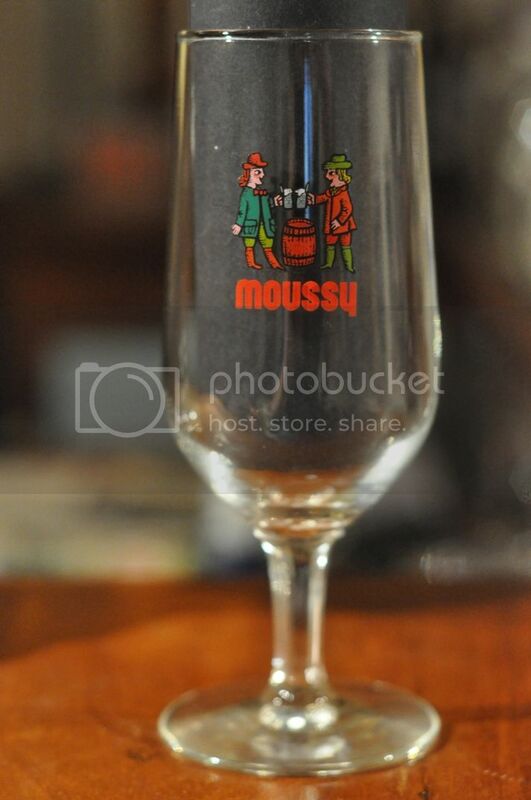 This is only the fourth African country that I have a beer glass from, so I was quite excited to find it in an op-shop. The glass is quite an old one, as yet I haven't been able to put a precise date on it but I think it's from the 1960's or 70's. As for the beer, Hansa Pilsener is a beer I've had before. It's an easy drinking pilsner with heaps of Saaz hops. It's nothing special but if you are looking for a cheap lager you could do alot worse than to pick it up. This has to be one of the rarest glasses in my collection. It's from a brand called Moussy from Saudi Arabia. I know some collectors who do not recognise Moussy or Saudi Arabia in their collections as it's a non-alcoholic beer, however for me this doesn't matter. They are still brewing a predominantly malt beverage that tastes like beer, it just doesn't have any alcohol. The reason Saudi's don't produce full-strength beer is because of the very strict adherence to Sharia Law, which prohibits the production or consumption of alcohol. I haven't had the beer and don't imagine I ever will however the glass now takes it's place on my shelf. Hong Kong is another new country (well region...) in my collection. It's one of those tricky places in the world which changes hands relatively often. Currently it's an administrative region of China. 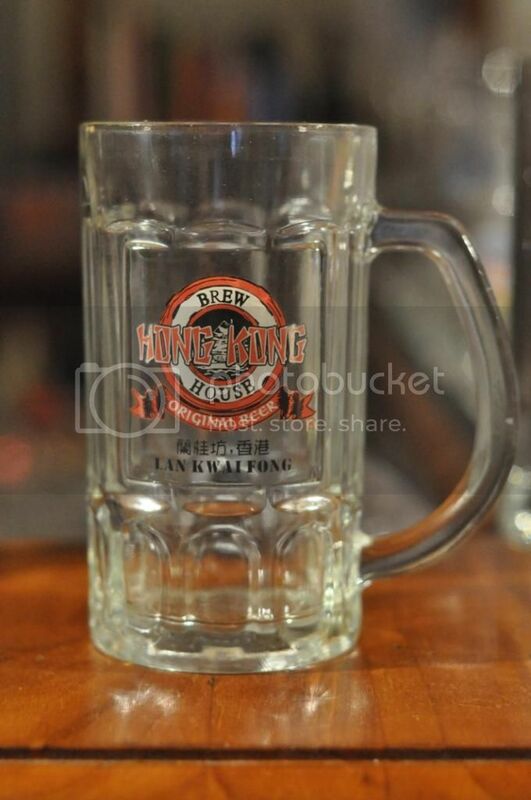 This is a really nice heavy mug from the Lan Kwai Fong Brew House in Hong Kong. Dad actually bought this mug back with him from a recent conference trip to Hong Kong. From all reports the beer there is quite drinkable, however I imagine this is another beer that I probably won't taste. At least not for quite a while anyway. I also have Mum and Dad to thank for these three glasses from Montenegro. 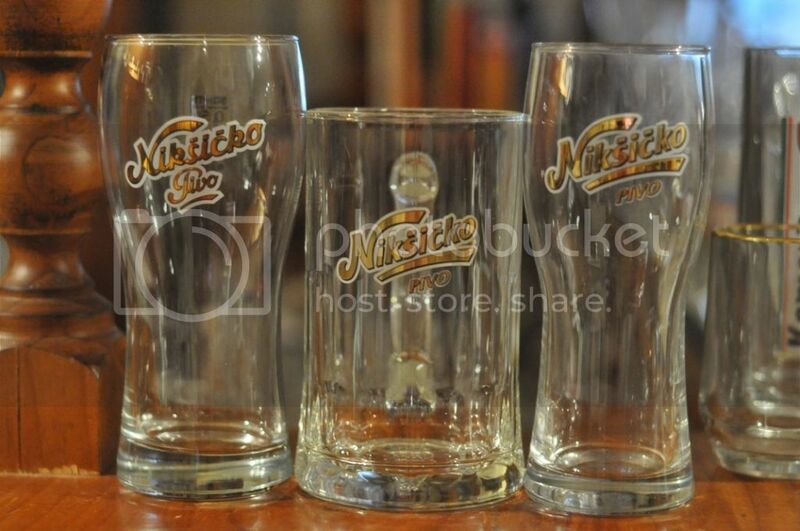 Niksicko is by far the most popular beer in Montenegro and it also holds significant market shares in neighbouring countries. It's a beer that I am quite familiar with, having reviewed in for the European Beer Challenge and doing a bottle vs can on Niksicko. The beer is a nice lager, which I imagine will be in my fridge quite a bit over summer. And finally, the fifth and final new country in my collection is from Peru. My fathers friend Cesar is from Peru and has spent the best part of the last year trying to get me, with no success but plenty of excuses! Last week Dad popped into an op-shop and found this one, Cesar was a little embarrassed to say the least! 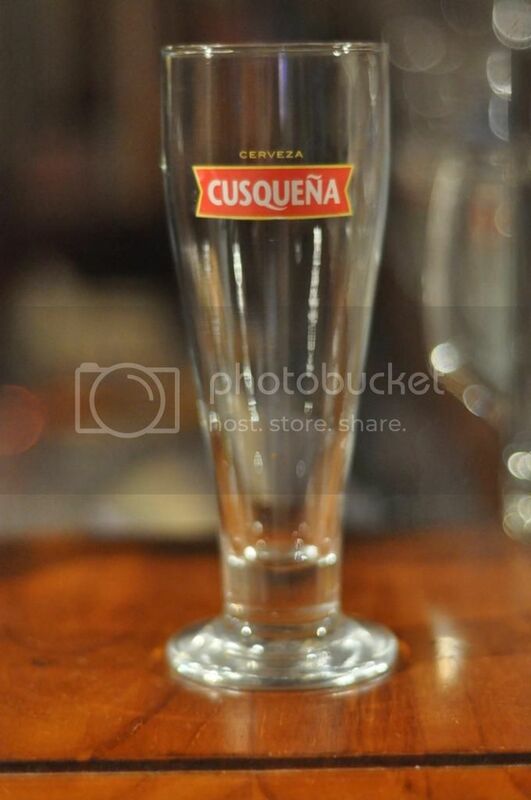 Cusquena is the national beer of Peru and it has previously been reviewed here. It's an all malt lager and is a little different in flavour to most lagers that we are used to here in Australia. It's a beer that I think everyone should try because it is a different take on a style which is so popular here. So there we go, they are the five countries that I've added to my collection since the publishing of the article, bringing the total number of countries in my collection to 83. If this post proves popular this may become a semi-regular section on Beer O'Clock Australia. Let me know what you all think! Also I had a special beer delivery this week so keep your eyes peeled for some new stuff in the coming days.